In today’s social media obsessed world, it’s both easier and more complicated than ever to build consumer trust. The simple solution, of course, is to get active on social media — an approach used by 81 percent of SMBs, according to a 2014 LinkedIn study. But merely establishing a presence on Facebook, Twitter, and LinkedIn is not good enough; your social media presence must be tackled in a strategic way, while maintaining approachability . Additionally, your pages must be promotional (in the sense that followers understand what your business does), but never spammy. Above all else, social media content must be engaging. Social media users do not follow accounts that constantly send them spammy links and videos. Self-promotion is acceptable, and at times, necessary, but it should be infused into an overarching strategy that focuses primarily on informative, useful, and engaging content. Even promotional content should teach readers something. The goal should always be to establish yourself as an authority in your industry, without coming across as overly self-promotional. Buffer, a social media scheduling tool, does a great job of adding value to their audience without pushing a hard-sell. 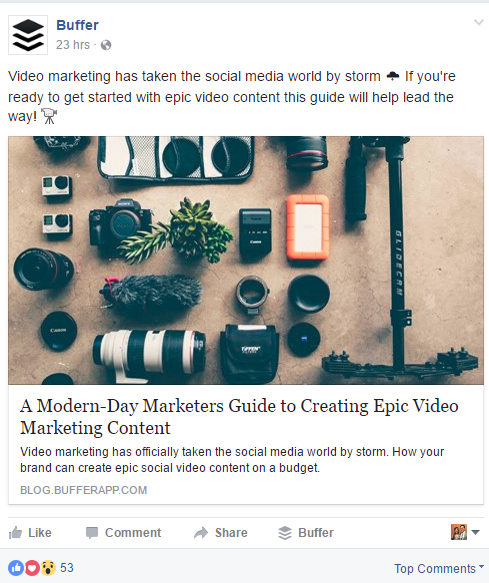 For instance, in this post they share a guide to help marketers create more engaging video content. Instead of pushing their product, they build trust and goodwill by sharing useful content on a hot topic that matters to their core audience (marketers). Although some variety of content is good, consumers following your social media page should have a basic idea of what they will find when they browse your account. Arguably more important than the range of content, however, is the voice you use to present that content. Your social media voice should appeal to your target audience — and it should be consistent. Social media posts should not alternate between being formal and lighthearted. Choose one approach and stick to it. 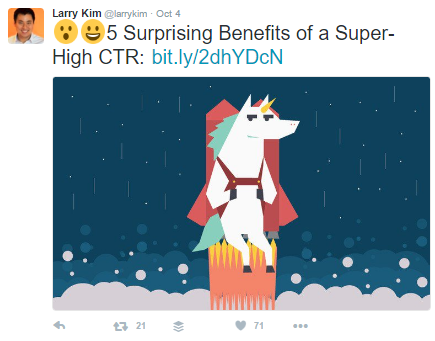 Larry Kim, founder of Wordstream, is a perfect example of owning his social voice. He knows exactly what his Twitter followers are looking for — a lot of emojis and unicorns but also really relevant, educational content. These days, brand promotion is about more than showing off the best of your business. Consumers view your social media pages not only as a place to learn about new services and great deals, but also as a platform to sound off about their concerns. The sooner you address those concerns and the more helpful your answers are, the better your customer service reputation will be. Resist the urge to delete unfavorable posts, as this will not lend credence to the reputation for transparency that you’re trying to build. Zappos owner, Tony Hsieh, wrote the book on delivering amazing customer service. 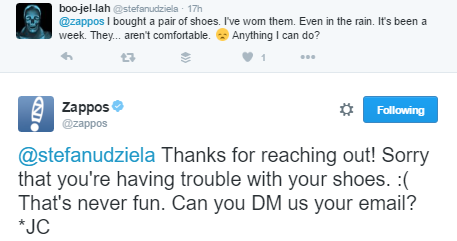 Zappos does a phenomenal job of addressing customer concerns wherever their customers are – on the phone, over email, and on social media. Few things create goodwill among customers quite like corporate philanthropy. Customers will be quickly turned off if you constantly boast about your company’s charitable efforts, but they do like to see the occasional post about the good your business is doing in the world — particularly if their purchases have assisted in this do-gooder behavior. 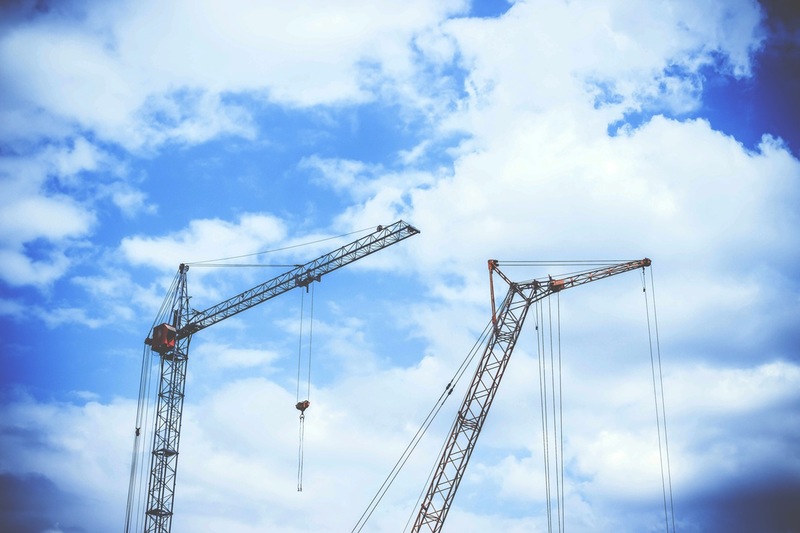 Be sure to highlight charitable projects that directly benefit the local community, as these will resonate more powerfully with local customers. 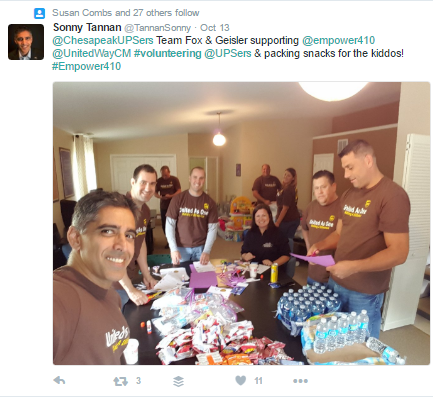 This UPS team gets a social boost from showcasing their volunteer efforts. It’s a great way to show their men and women out of uniform and in a different element. In addition, highlighting members of your team is always a solid way to get in front of your employees’ network. Social media is a powerful tool that can be used to strengthen your brand reputation – leaving a love mark on your prospects and customers. It’s key to enhancing your marketing efforts while building much-needed trust among your consumer base. Keep the focus on offering value to your consumers. Traffic and social media engagement will naturally follow if it’s clear that you want to provide your followers with useful content and a stellar online experience.